I must confess, I have a coconut problem. I can’t get enough coconut oil, milk, flakes, and water. It’s delicious and so good for you. It’s full of good fats, loaded with electrolytes, and will boost the metabolism. It also removes harmful free radicals to help prevent degenerative disease and premature aging. Need any more reasons to try it? Well, how about the most delicious drink ever? I’m not exaggerating. My husband’s response when he tasted it went like this “Mmmm. MMMMgulpMMMMM!! !” It’s that good. 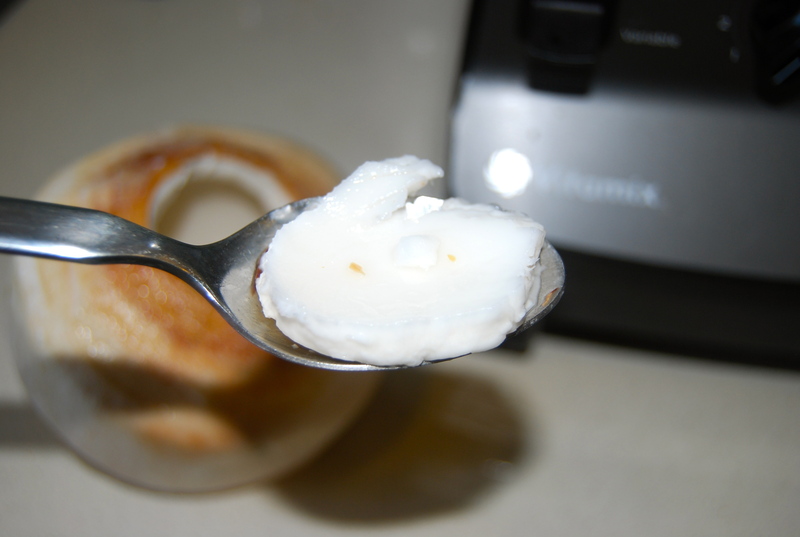 The first step is opening a young Thai coconut. It takes a little practice and requires a good sharp knife. Obviously, this is not something you want your kids helping with. First, place the coconut on a good heavy cutting board. Wood is ideal. 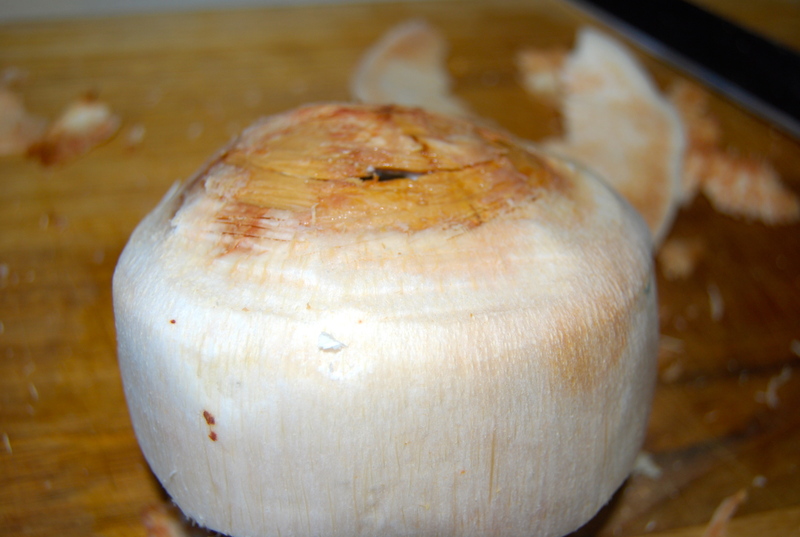 Slice all around the top of the coconut, removing the white husk till you get down to the hard shell. Then, whack your knife around the top till you find a softer spot. You can either smack the knife into this spot or carefully stab the tip in. PLEASE be careful! Pry up the top just like a can. 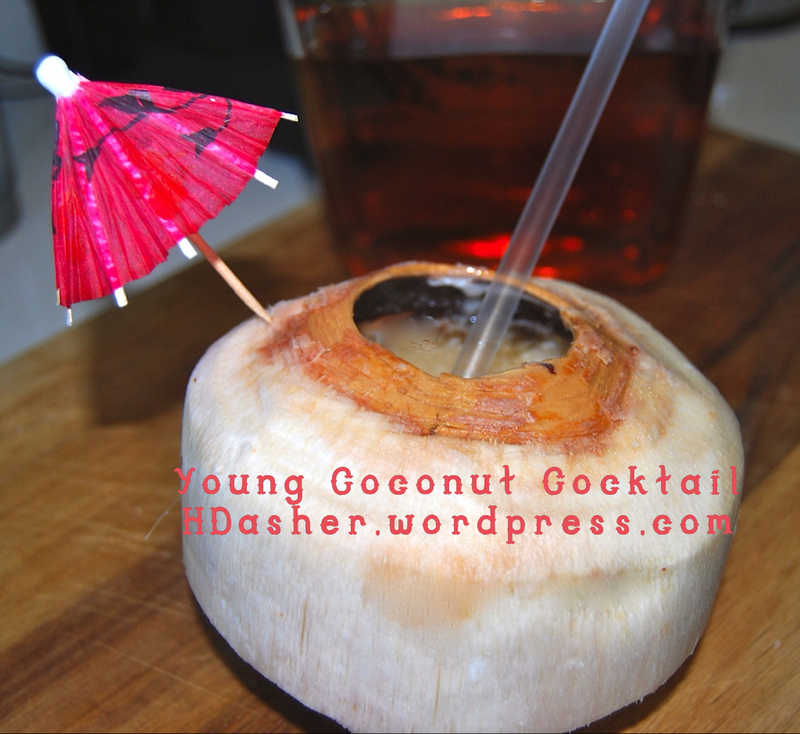 Pour the coconut water into a blender. Next, remove the meat. It can vary in color from a slightly purplish grey to pale yellow. The meat may be super soft like jelly or closer to very firm tofu. All are fine. Using the back side of a spoon, get under the edge of the meat and scoop into your blender being careful not to get any of the shell. Blend well. It will be pretty thick but so yummy. You could add water to thin it down but my family motto is Water Schmater. However you say that in Latin, I forget. Anyway, the ideal thinner would be spiced rum. 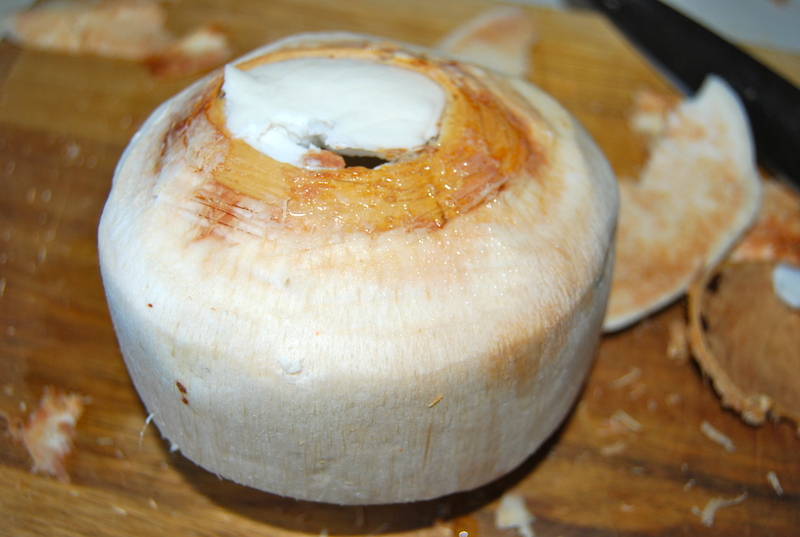 Pour desired amount into the empty coconut shell, add the fresh coconut milk and stir. Add a straw and a tiny umbrella if you’re feeling fabulous. Cheers, Dahlings! !